My sister’s baby crawls around so much that the floor looks infinitely cleaner and shinier by the time she’s all crawled out. 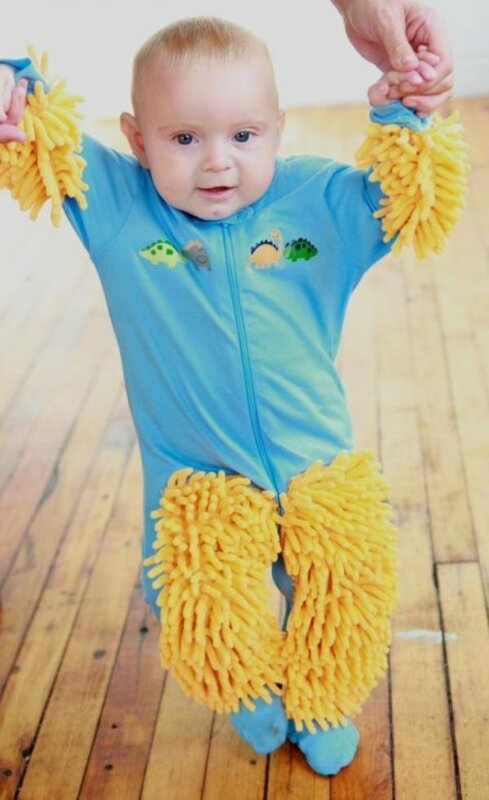 Someone else must’ve apparently noticed this with their own babies, because why else would they come up with something as silly and amusing as the Baby Mop romper? It looks just like a regular onesie at first glance, but check out the front and you’ll see that it has some super-absorbent cleaning pads attached in strategic locations. 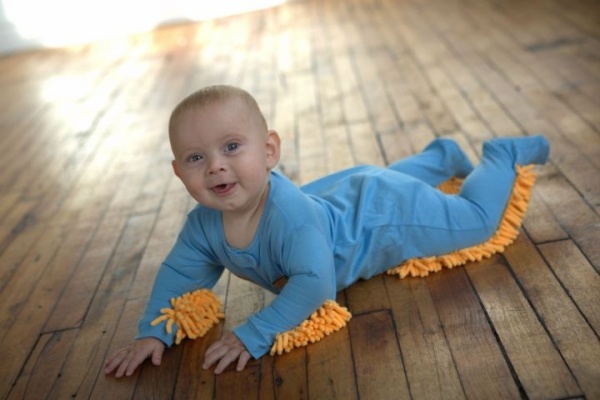 Set your baby on the floor dressed in this romper and get ready to have your floors buffed and polished, baby-style. I mean, why waste all that free baby labor, right? All kidding aside, this would make a fun present for baby showers and will definitely elicit a whole lot of laughs from your family and friends. 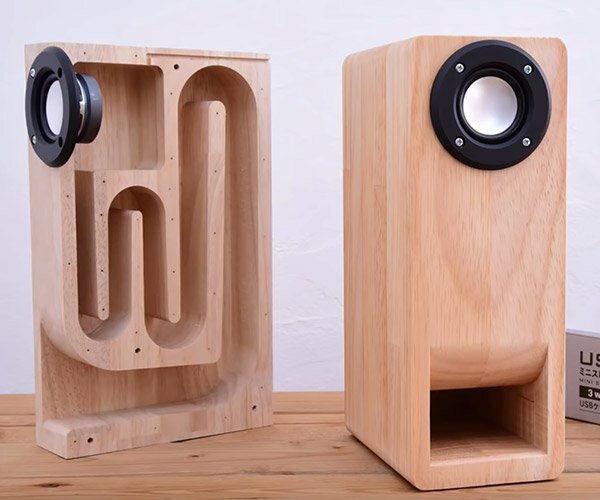 You can get them here for $40 a pair.